Join us for an evening of STEAM fun! STEAM stands for Science, Technology, Engineering, Arts, and Math. 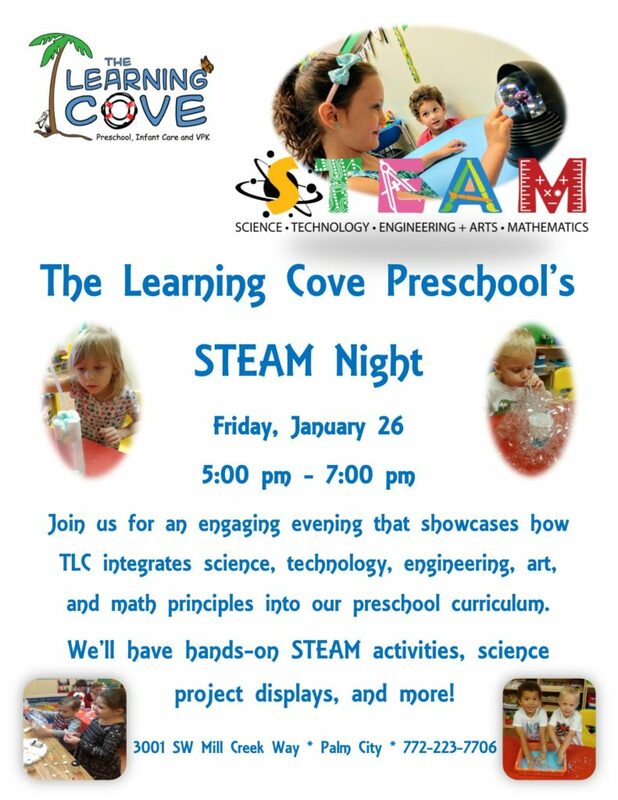 We will have class science projects on display, hands-on STEAM activities, and information on how The Learning Cove integrates STEAM into our everyday preschool curriculum.